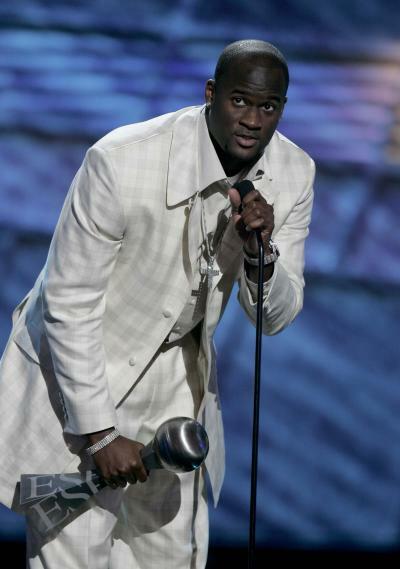 Cat Osterman won an ESPY for Best Female College Athlete while Vince Young won for Best Championship Performance and also accepted an award with Matt Leinart for Best Game. There were other Texas Longhorn related nominations at the 2006 ESPYs and this clip has every bit that made the telecast including the complete Vince Young award segments. It shows Nathan Vasher, Lance Armstrong and Will Ferrell who it seems has still not recovered from the heartbreak of the Rose Bowl.